A Florida school bus plowed through a fence and into a backyard pool after a collision, but no one on board was hurt. 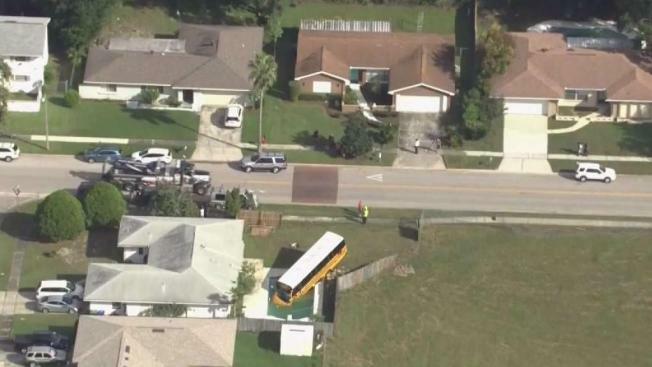 The Orlando Sentinel reports that nine students and the driver were onboard the Orange County school bus Friday morning when a car pulled in front of the bus. Florida Highway Patrol Lt. Kim Montes says the bus driver swerved to avoid the car, but clipped it. 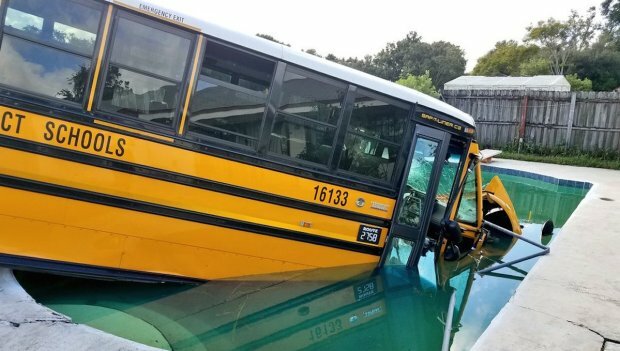 The bus went through a yard and the front end went into the pool with the back teetering on the edge. The car driver suffered minor injuries.